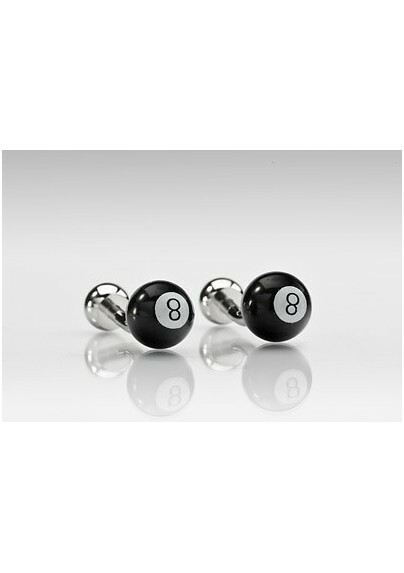 Dress with swagger and urban panache with these billiard inspired novelty eight ball cufflinks. The universal motif adds a heavy dose of character and confidence to any ensemble. These designer cufflinks are designed by Mont Pellier and were well crafted from resin and stainless steel. 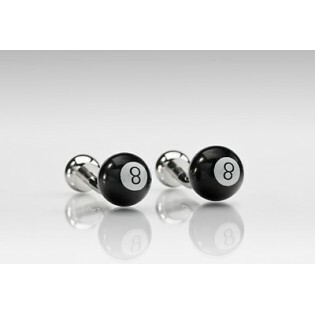 We love to see these eight ball cufflinks paired with a white dress shirt.